Paddle under the moon and stars by kayak, canoe or paddleboard. Everyone is welcome to come along, as our Full Moon Kayak tours are the locals favorite. 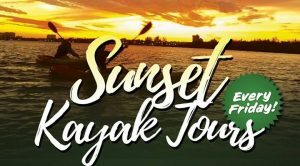 Venture together, glow sticks in hand, through a peaceful mangrove trail and into the calm waters of the Ft. Lauderdale area.